It took me such a long time to actually take the time to watch this film but finally - here we go. I was definitely in the mood for a movie like this so I just got me some popcorn and soda and sat down to watch it. Honestly, why are more people not talking about this film? This movie... actually left me speechless. It had been a while since I was so grossly addicted to everything that was happening in this way. Sure it has not been that long since my eyes were practically glued to the screen while watching a horror/thriller and for me, being completely engaged in a film is so much more "enjoyable" when it is is a movie from this genre. Of course it might be because I love horror and thrillers but I am sure a lot of people feel the same way. 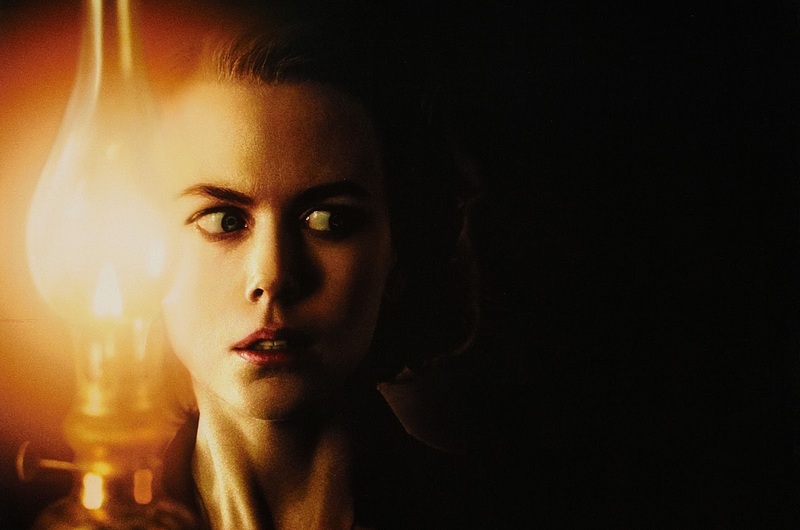 When a movie establishes a mystery through a very atmospheric tone and continues to build on it for the rest of the film - you just cannot help but watch the story unfold with your mouth open. It has been a couple of weeks since I saw it for the first time and it has not left my mind ever since and that is when you truly know are in love with a movie. There was only one moment in the film were it almost took me out of it - but then by the end it makes perfect sense and justifies it. I will get more in-depth into what that moment was later on in a spoiler section because I really do not want to ruin anything in this film for you if you have not seen it yet. Nicole Kidman. While I have not seen everything she has done – I would be hard pressed to find a performance in her career that outshines the one she gave here. I really did not expect her to be one of the absolute highlights of the film (no I did not do any research before watching this film. All I knew was the title, Nicole Kidman and Christopher Eccleston was in it and that it had gotten positive reviews) and in fact she might even be the BEST part of it. You are not quite sure whether or not her head is screwed on correctly. The only thing you are certain of with her character is that you cannot take your eyes off of her. Kidman is absolutely electric in this film and I would pick this performance over the Oscar nominated 'Moulin Rouge!' one (which came out the same year) ANY day of the week. Right from the start you just know something is wrong. You can feel it in the way the film is shot and edited that this is not going to be your typical 21st century horror movie (although to be fair this did come out right before it all went laughably downhill). The tension is established right from the start as you start to feel very uneasy with everything that is happening because you are not quite sure whether or not you can trust Nicole Kidman even though nothing she is doing is inherently wrong - it is (again) just the way she plays it that makes you wonder whether or not she is all right. The film was written and directed by Alejandro Amenábar and while I have not seen any other movie he has done - I am more than interested in checking them out now after seeing just what a masterfully crafted film this is. I loved just how natural things progress in the film, there is not this huge change in the story that comes out of nowhere - everything is set up and is constructed in an organic way. At one point Nicole Kidman's character finds a photo album with pictures of people she believes are sleeping, when asking one of her newly hired servants she is told that they are not sleeping - they are dead. This could easily have been a moment were you go "oh is this another typical old servant woman character who conveniently knows everything about like supernatural entities or spirits etc..." but no because it is well established long before this that she used to work in the mansion they currently live in before Nicole Kidman, her husband and their kids moved in so it makes sense that this servant is aware of a lot of the things that are in it. Overall, this movie floored me to the point were over a month has gone by since I saw it - and it still remains burnt into my brain. Every aspect complements each other perfectly, making for one of the best horror movies made in the 21st century and incidentally - ever. 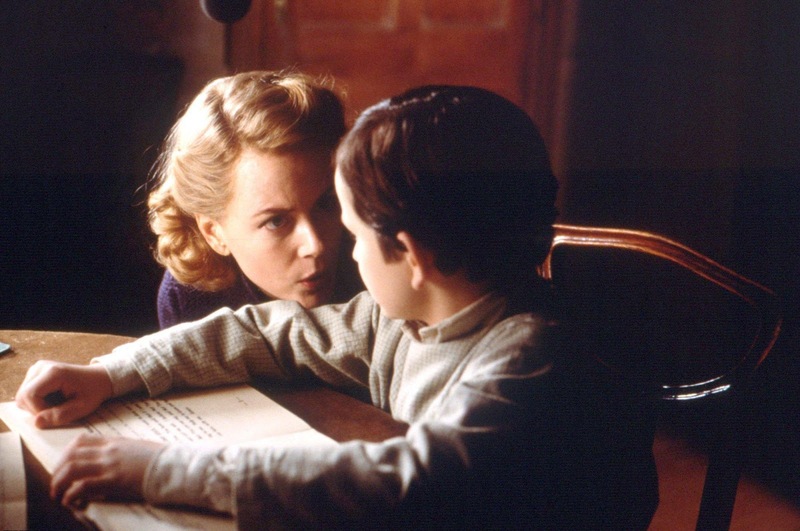 Nicole Kidman is stunning in possibly her best performance ever. The music by Alejandro Amenábar (who also directed and wrote the film) is wonderful and one of the more memorable scores in any horror movie. Basically, if you have not had to chance to see 'The Others'... make sure that you fix that as soon as possible. 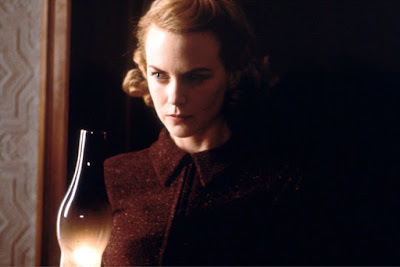 I loved how the film began creating this really uneasy tone with Nicole Kidman's character because we are not quite sure if she is a good person or not. Her performance gives the character a very creepy vibe and you begin wondering whether or not those servants taking the job was such a good idea. I do not know about anyone else but I started to feel sorry for them at one point because they are written like just regular people... then something happens. Slowly but maturely as the film moves along - you start to feel more uneasy towards the servants and get on Kidman's side more and more. I love when movies do this (successfully of course) and this is possibly one of the best cases of that I have ever seen. Then of course we have the twist... my god this twist. I was really surprised by how much I loved the direction it went because it was very 'The Sixth Sense'-esque, which of course could get some of the fans of that M. Night Shyamalan movie to dislike 'The Others' but honestly - I actually prefer this movie over 'The Sixth Sense' probably any day of the week which I never thought I would say before I saw it. I went back right after it ended the first time I saw it and noticed just how much everything made sense thanks to this twist. I mentioned earlier how there was one scene that almost lost me and it was when the father (played by Christopher Eccleston) came back around the halfway point. It felt like it came out of nowhere and in a rather silly coincidence - but with the twist ending in mind, it makes sense.